If you saw a $100 bill lying on the ground, would you walk by it because it seemed like “too much work” to pick up? Probably not. But that’s essentially what you’re doing if you’re traveling and not earning frequent flyer miles. Though these programs are free, many people don’t take advantage of them. Why? Because they just seem so darn complicated. All those membership numbers, alliances and award charts — where do you even start? Since we know frequent flyer miles can seem intimidating, we broke the process down for you. It’s time to quit making excuses and start earning free flights! Though few people bother to do it, this step is actually one of the most important parts of your frequent flyer journey. Why do you want to travel for free? Where do you want to go? Not only will this motivate you to earn miles, it will also help you figure out which frequent flyer programs you should target. Now that you know where you want to go, it’s time to start signing up for programs by visiting your target airlines’ websites. Note that most major airlines are members of one of three airline “alliances”; airlines within an alliance are considered “partners” with each other. (Here’s a list of the alliances and their participating airlines, which are constantly shifting). If you earn miles on one airline, you can use those miles to fly with any of their partners. British Airways, for example, is a member of the oneworld alliance, as is American Airlines. Since they are partners, you can use American Airlines miles to fly for free with British Airways, and vice versa. If you only do one thing on this list, make it this: Sign up for one program in each of the major alliances. Since you can’t combine or switch miles down the road, you want to avoid earning miles on several different airlines within the same alliance. It’s much more useful to have 50K miles in one program than 10K in five different ones. Tip: To keep track of your membership numbers (and mileage expiration dates), sign up for a free online service like AwardWallet or UsingMiles. As long as you pay money (and not miles) for your ticket, you can earn frequent flyer miles for every flight you take. 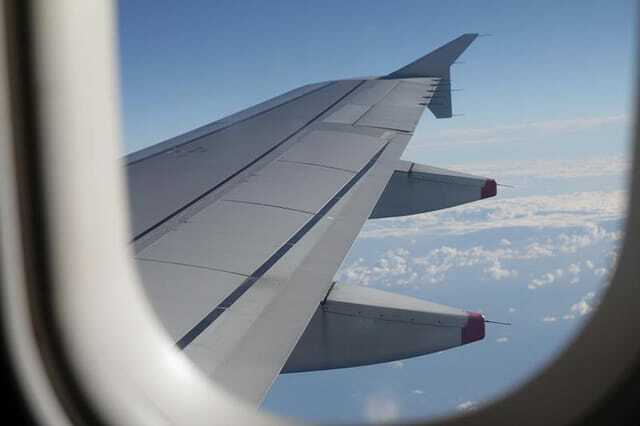 No matter where you’re flying or who you’re flying with, don’t forget to add a frequent flyer number; even small amounts can add up over the years. There’s a box for including your frequent flyer number when booking flights online, and if you forget, you can log into your reservation later and add it. When checking in for a flight, double-check that your number is attached; if it’s not, ask the agent to update it. You may not know that you can earn miles for your target airline even when flying with one of their partners. Let’s say you have a flight to Bangkok on Thai Airways. Though you might not ever use Thai Airways again, they’re in the same alliance as United — so be sure to add your United frequent flyer number, and therefore, earn United miles for your flight. Once you’ve got the basics down, you might want to apply for a travel rewards credit card, as they’re the quickest way to earn lots of miles. But before you do, it’s imperative you check your credit score. If it isn’t above 700, you shouldn’t use credit cards to earn miles. Work on paying off debt and improving your score before concerning yourself with travel rewards. If you have little or no credit, apply for a basic credit card (make sure it has no annual fee) and build up your credit for a year or two before getting a travel rewards card. Even if your credit is good, you should also take a moment to check yourself: Are you going to be able to use rewards credit cards responsibly? Are you going to pay your bills in full each and every month? If the answer is no, you should avoid getting a travel rewards credit card. Most of these cards have extremely high interest rates, so leaving a balance on them will negate any rewards you earn. It’s not worth going into debt for travel rewards. If your credit looks good, it’s time to apply for a travel rewards credit card. You can choose from an airline-branded credit card that earns miles for a specific airline, or a general points card whose miles can be transferred to several different partners. Take a look at the travel goals you created and find a card that will help you achieve them. Since the world of travel rewards changes frequently, it’s important to research which cards have the most lucrative offers at the time you’re ready to apply. Now that you have a travel rewards credit card, it’s time to use it! First off, make sure you complete the minimum spend required to get the sign-up bonus. You might even want to put a reminder in your calendar to help you stay on top of the deadline. After you’ve earned your bonus, continue to put every expense possible on your credit card. Whereas you’ll earn at least one mile per dollar spent on your card, you won’t earn any miles by paying with cash. Never make extra purchases to get more miles; simply use your credit card instead of cash on things you would’ve bought anyway. Most importantly, pay your bill in full each and every month. Remember: rewards aren’t worth going into debt. If you’ve used your credit card responsibly, you might want to apply for other travel rewards cards. You can either apply for just one, or for several at once; the process of applying for multiple cards is called a “credit card churn,” and is the strategy used by advanced frequent flyers to earn millions of miles each year. Before applying for more credit cards, ensure that your credit is still excellent and that you can responsibly meet the requirements for each of the cards. Tip: Never close your oldest credit card account. If it has a high annual fee, then simply downgrade the card — which will remove the annual fee but keep your line of credit open. Though credit cards are the quickest way to earn miles, they’re not for everyone. That doesn’t mean you can’t get free flights — it just might take a little longer. We’ve written an entire post about how to earn miles without using credit cards; you can use these strategies on their own, or in conjunction with smart credit card use. 9. Redeem Your Miles for Free Flights! You could write a book on how to redeem your frequent flyer miles for free flights; it’s far too much to cover in a single blog post. In addition to the constant shifting of the travel rewards world, how you redeem your miles will greatly depend on where and when you’re flying. This list of airline award charts should give you an idea of how many miles you’ll need for your particular travel goals. Do your research, and book as early as possible — far earlier than you would if you were paying cash for your ticket. For the most popular routes, award space can fill up a year in advance. I’ve been using frequent flyer miles for several years now and am so thankful for the travel opportunities they’ve given me. I’ve been able to fly to such wonderful places as Italy, New Zealand, Indonesia, Alaska and the Republic of Georgia. The price tags for these flights would add up to thousands of dollars; without miles and points, I never would’ve been able to afford them. So believe me when I say that — though it may seem like a lot of work at first — it’s so worth it. Send me a postcard from wherever you end up! Want to learn more about earning frequent flyer points? Join the Travel Hacking Cartel, a community of expert travel hackers. Your Turn: Where have you been able to go using frequent flyer points?